Kingsmill on the James is a gated, golf and waterfront resort community set on the banks of the scenic James River near historic Williamsburg, VA. Covering more than on 2,900 acres, Kingsmill offers a variety of exclusive neighborhoods set against a beautiful backdrop of green rolling hills and stately woods. Within the embrace of this lush setting, Busch Properties, Inc., one of the Anheuser-Busch Companies, has created a planned community which carefully preserves green spaces (40 percent of the property will remain untouched) and archeologically significant areas, while providing extraordinary residential home sites. 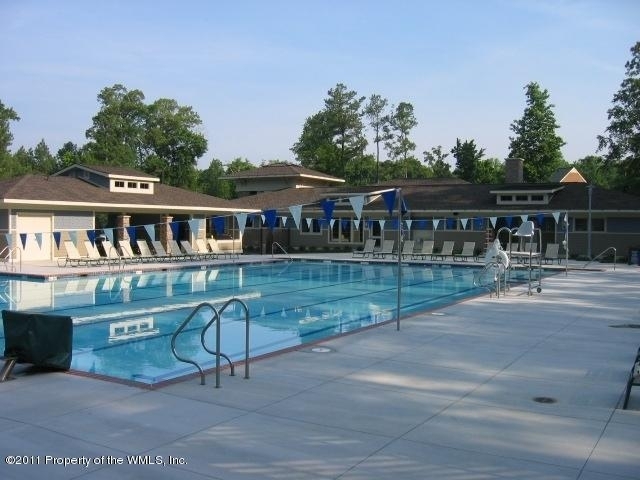 In addition to enjoying a lovely natural setting and mild, four-season climate, residents of Kingsmill on the James have convenient access to three championship golf courses, tennis, sports club with indoor and outdoor swimming pools. Other amenities include full-service riverfront marina, racquetball courts, exercise room, billiards and card rooms, luxurious, full-service spa and four restaurants. Memberships range from social to bronze through platinum levels. Real estate at Kingsmill on the James includes heavily wooded homesites, custom-built and custom-designed homes. All utilities are underground. For those seeking a waterfront location, there are abundant options. Many homes are located on the James River, Halfway Creek or on one of several ponds. Real estate includes heavily wooded homesites, custom-built and custom-designed homes, all utilities underground. For those seeking a waterfront location, there are abundant options. Many homes are located on the James River, Halfway Creek, or on one of several ponds. For more information, call Caroline Remillard at 757-713-0196. Kingsmill is located less than three miles from the College of William and Mary and the historic streets of Colonial Williamsburg. Colonial Williamsburg is the No. 1 family destination in the U.S. This living, breathing homage to the revolutionary war era is where you’ll find countless opportunities for dining, shopping, theme parks and history tours that will entertain all ages. Kingsmill on the James, Williamsburg VA just announced a Spring Fever Package available Mar. 27 through May 29. Package includes two nights lodging, Summer Fun Tickets to Busch Gardens, daily breakfast in Elements 1010, complimentary transportation to Busch Gardens and Colonial Williamsburg, free use of pools and fitness center plus free parking and wi-fi. Pricing starts at $394 per night in a one-bedroom suite and $354 per night in a guest room. Send me more information about Kingsmill! Kingsmill on the James, Williamsburg VA Golf Package helps kick-start the spring season on the links. Package includes two nights in a 3-bedroom condo (min/max four person occupancy), unlimited golf on the Plantation and River championship golf courses, breakfast daily, club storage, unlimited use of practice range plus use of resort sports facilities and pools. Priced from $575 per person for two nights. Send me more information about Kingsmill!